Applying for AAAC Member Status To apply for membership, an accrediting organization must submit an application. 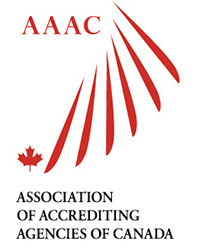 AAAC is a membership organization. Membership does not equate to recognition, nor does it certify the status, performance or integrity of the accreditation organization. Organizations seeking membership do so on a voluntary basis. AAAC is under no obligation to accept any organization as a member. AAAC Membership Application Before beginning the process, please review the membership eligibility criteria. The AAAC staff is available to assist the applicant through the application process. Timeline The AAAC office will acknowledge receipt of the application and screen it for completeness. Normally within a couple of weeks, the application will be reviewed by the Board of Directors for quality and appropriateness of responses to the criteria for membership. The Board will review the application and make a decision at its next scheduled meeting. Applicants shall be notified in writing of the Board's decision no later than two weeks following the meeting. The organization must reaffirm that it meets AAAC membership criteria. If the organization pays the current fiscal year dues.